Tara is out of her coma and is STABLE and improving condition. Please sign our GUESTBOOK if you haven't already. See how you can HELP. Thank You!. 9:30pm Josh was interviewed on KSL 5 TV in Salt Lake City tonight and gave an update on Tara for all the wonderful people in Utah who have been so supportive.. Here is a link to the One Month Since Fiery Crash Changed Newlyweds Future story. Here is an email from Tara's mom to Tara's Dad with a detailed status from today . . .
Tara dozed off so I went surfing TV channels trying to find something appropriate in case she woke up. To my surprise I found myself looking up at Josh talking. I realized that this was a news update story. I'm very pleased Josh appeared on the news. The community deserves to hear more as so many people have became deeply involved with this sad story. The news that Tara is doing better is bound to lighten everyone's heart. Josh did a great job and I am really proud of him and how he has been standing by our daughter. She did very well today, by-the-way, breathing from 7:30 am until the current hour on her own! - no vent. She seemed to have less pain today, even though she had no pain meds (except for a little shot of morphine in advance of her journey down to x-ray). They did a fluoroscope-guided NG tube insert (she must have pulled the other one out because they found it in her stomach area, instead of down into the intestines by morning). This may be the beginning of the next Rancho level - not a very fun time from what I hear. Anyway in general she seemed more comfortable today. I forget if I told you but Dr. McDonald appeared in her room (she's back in 3-North- Neuro unit). He was very surprised at her progress. He originally delivered that very grim prognosis. He is much more optimistic after seeing her today, however he cautions that she may not make it all the way back. Estimates between 50% to whatever. So we'll count on Tara showing him what she's made of - 100% All the Way! Thank you so much John for all your dedication and diligence on behalf of our daughter. I will never forget how you rallied for her and I look forward to letting her know how you championed her. 4:00pm Tara had an eventful day! She has been off of the respirator for eight hours so far today and breathing well on her own. This is a great achievement. They have been giving her oxygen as an assistance, but she is doing well. Dr. McDonald, her original neuro-surgeon, has been away for the past two weeks. He saw Tara today and was very encouraged by the improvement that he sees in the past two weeks. .
7:00am Tara had a quiet day yesterday, although the physical therapists gave her a good workout. They come in and move her and sit her up on the side of the bed. Tara is still opening her eyes and looking about. We have added a GUESTBOOK that we would like our readers to sign if they desire. This will assist us in maintaining our mailing list in a more automatic fashion. A special "Thank You" to John's brother Mark in Oregon who hosts this website on his server and helped set up the GUESTBOOK. Hospital staff in Utah and in San Jose are working to coordinate Tara's move to San Jose at the best time for her. We have emailed and faxed the Governor of California trying to get an answer as to why Medi-Cal insurance will not contribute towards the $10,400 needed for her air-ambulance trip, and asked for help, but have not received any response. 7:00am Tara was taken off of sedation last evening. OK Tara, time to wake up now ! 7:00pm Tara had a good day today. She is still sedated to help allow her skin graft to heal. Ann, Tara's mother, showed Tara a photo of when she was young with some friends and Tara smiled. The respiratory therapists took Tara off of the respirator/ventilator for 15 minutes today and Tara did fine breathing on her own, despite the fact that she is sedated. This was an important test and it bodes well for Tara to be able to do well without the need for the respirator. 7:00am Tara had a quiet night. A new NEWS ARTICLE was published this morning by the San Jose Mercury News about Tara and Josh written by reporter Connie Skipitares. Connie has been very active in helping Tara and her families. 9:00pm Tomorrow morning, the San Jose Mercury News will publish an article about Tara and Josh written by reporter Connie Skipitares. Connie has been very active in helping Tara and her families. 8:00pm Tara had a quiet day. Dr. Saffel visited Tara again today. 10:00am Tara had a quiet night. She is still opening her eyes this morning, despite being fairly heavily sedated. Tara is currently in the Surgical ICU unit of the hospital. Some supporters of Tara and Josh in Colorado have organized a Golf Tournament in order to raise funds for Tara's expenses. The Golf Tournament will be held on July 15th at the Canterbury Golf Course in Parker, Colorado. Canterbury is Colorado's Premiere Public Golf Course. You can get more information by emailing Tim Welch at golf4tara@wwdb.com. We want to thank all of Tara's supporters that have been coming up with original ideas to do fundraising for Tara and Josh. Their expenses will be enormous and we are very grateful to those that have donated and are raising funds. Please let us know if we can help in any way with your fundraising efforts. Please print and distribute this Flyer. Please forward the link to this website to your email lists. Thank you! 7:00pm Dr. Saffel visited Tara today. He says that the skin graft that he did yesterday is healing as it should. He may want to do an additional skin graft but wants to wait to see the results of this one. Tara is still opening her eyes, even though she is fairly heavily sedated. 10:15am Tara is sedated again to prevent her from moving to give the skin grafts on her forehead a chance to heal. Since Tara is quiet, lets talk about what we know about her brain injury. Here is the technical findings from Tara's MRI scan that was done. "There is evidence of diffuse axonal injury (shearing) involving the Corpus Collosum as well as the deep periventricular white matter of the Centrum Semiovale." Big words! Follow the links to see the sections of the brain that are indicated. Contrecoup, an injury to the brain often seen in car accidents after high-speed stops, results from the brain bouncing violently against the wall of the skull. This event can cause diffuse axonal injury, also referred to as axonal shearing. This injury involves damage to individual nerve cells (neurons) and loss of connections among neurons which can lead to a breakdown of overall communication among neurons in the brain. Brain shear injuries involves damage to individual nerve cells (neurons) and loss of connections among neurons which can lead to a breakdown of overall communication among neurons in the brain. There is no way of telling the exact extent of the damage or how it may affect Tara. This process is basically a waiting game. Waiting for Tara to wake from her coma. 4:00pm Tara had a skin graft this afternoon and the procedure went well. Tara will need to be closely watched for the next several days. Dr. Saffel does not want the skin graft aggravated by anything like Tara coughing, so they are moving Tara back to the Surgical ICU unit and will keep her sedated for the next few days. So, we will probably not have any breaking news about Tara waking up for the next few days. Tara's father John had a very good meeting today with the Executive Director of Santa Clara Valley Medical Center in San Jose. Coincidently, the husband of the Executive Director used to coach Tara when she played NJB Basketball in 7th and 8th grades. Also, Connie Skipitares, a reporter for the San Jose Mercury News has been wonderful in helping John make important contacts and connections. Connie is currently working on another article to run in the Mercury News. Brenna Bolger, President of PRx, Inc. also facilitated the meeting. The families want to thank everyone that is helping. 9:00pm Tara had an upset stomach this morning. She is being fed through a tube into her stomach. Tara had several sessions today when her eyes were open and tracking. Her mom Ann said that Tara's eyes focused on the television for awhile. Josh has a CD player and plays some of her favorite music for her. Tomorrow afternoon, Tara is scheduled for surgery with one of the best burn doctors in the United States, Dr. Jeffery Saffel, Past-President of the American Burn Association. She is going to have some skin grafts on her forehead where she was burned. The University of Utah Hospital has been absolutely fantastic to Tara and our families. We have started talking about discharge, because the physicians say that there is little that UUH can do for her medically at this point in her progress. Until Tara wakes up she cannot actively participate in her rehabilitation. She would normally be transferred to a sub-acute convalescence hospital that is equipped to deal with coma patients. Unfortunately, the two hospitals in Utah that are appropriate (which we toured last weekend) do not accept Medi-CAL insurance. Because of this we are investigating transporting Tara back to California, possibly as early as next Friday. Because she is still on a respirator and feeding tube, the only way to get her home is via an Air-Ambulance, which unfortunately costs about $10,500. We are hoping to get Tara admitted to Santa Clara Valley Medical Hospital in San Jose. They have an excellent Traumatic Brain Injury (TBI) unit, an excellent TBI rehab unit and an excellent burn team. The people of Utah have been wonderfully hospitable to us, but it will be nice to have Tara closer to home. 6:30am Tara had a quiet night. Your reporter is back in California, so updates will be a bit farther in between. Tara is going to have some skin grafts in the next few days to help the burns on her face heal better. 6:00pm Tara has had a quiet day. No new news to report this evening. Unfortunately, no more smiles today. The San Jose Mercury News web-published this NEWS STORY by reporter Chuck Carroll. 7:30am Tara had a quiet night. Josh stayed in the room with her all night. 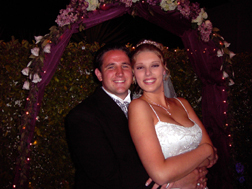 June 22, 2004 - Happy Anniversary! Josh says that Tara smiled at him three different times today as he was talking to her! Today is Tara and Josh's one month wedding anniversary. Tara and Josh were married a month ago in an evening wedding at her grandfather's home. It was a lovely and magical wedding. 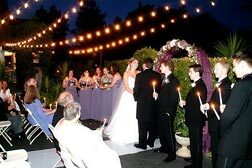 They said their vows as the day went through its transition and hundreds of small lights came up like stars twinkling in the sky. 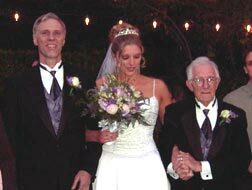 Many of the guests said that it was the loveliest wedding they had ever attended. It is hard to imagine that there is a happier couple than they are. 8:00 am Tara is doing well after her surgery. She is somewhat "active" this morning. Her eyes are open and she is occasionally tracking movement with her eyes. 8:00pm SUCCESS!!! Tara's diaphragm surgery went well. They were able to perform the procedure with the laparoscope so they did not have to make a larger incision. They repaired the tear in Tara's diaphragm and were also able to take a look at the laceration in her spleen, which is healing nicely. We are very pleased with the outcome. Thank you to everyone for your prayers and support. Have I mentioned recently that on a scale of 1 to 10 the University of Utah Hospital is a 20 ? 12:00 Noon Tara's diaphragm surgery will be at 5pm..
8:00am Happy first day of Summer! Tara is undergoing surgery this morning to repair the tear in her diaphragm. It is hoped that this can be accomplished laparoscopicly which is less invasive. There is concern because the diaphragm repair is close to the clotted tear in her spleen which the doctors do not want to disturb. Hopefully when she is healed from this operation the staff here at the hospital can take her off of the respirator/ventilator which has been assisting her breathing. 8:00pm Tara had a mostly quiet day. Josh, Ann and John visited some transitional facilities that provide therapy for coma patients that do not require medical hospital treatments, but are not yet ready for rehab. John had dinner with the Goodmans, the family of Thad Goodman who lost his life in the accident. They are a wonderful family who have also suffered a tragic loss. Please remember them in your prayers also. News Article. 10:00am GOOD NEWS!!!. GOOD NEWS!!!. GOOD NEWS!!!. GOOD NEWS!!!. GOOD NEWS!!!. Tara has been moved from the Neuro Critical Care unit to the Neuro Stable Care unit. Tara is still in a coma, but she is no longer considered to be in a life critical condition. So she has a new mailing address for cards on the contact page. Tara is quiet this morning. She is still on life support mechanisms. She is being fed through a tube directly into her stomach, and she is still on a respirator/ventilator to assist her breathing. She does initiate her own breaths. The staff is considering operating on her tomorrow to repair the tear in her diaphragm. After that they will be able to wean Tara off of the respirator assistance. Tara's nurses, Heather and Karen, just came in to the room and told us that Tara is going to have another CAT scan this morning. Coma is a prolonged period of unconsciousness. Unconsciousness is the lack of appreciation of (or reaction to) a stimulus. Coma differs from sleep in that one cannot be aroused from a coma. Regarding Tara's level of coma, the staff here say that she is a 10 out of 15 on the Glasgow Coma Scale. This scale rates a patient in three categories, Eye Opening, Verbal Response, and Motor Response. Tara has a 4 for Eye Opening (E). She opens her eyes on her own and sometimes has them open for hours, with normal blinking. She sometimes will track an object with her eyes, and is sometimes attracted to motion. So, for the eye opening part of the scale she is a 4 out of 4. There are 5 possible ratings for Verbal Response (V), and Tara is a 1 out of 5. She does not verbalize at all, and she makes no sounds. In the Motor Response (M) category, Tara rates a 5 out of 6. Tara localizes to pain. When her shoulder is pinched she will sometimes bring her hand to the area where she is feeling pain. By adding the three scores (E+V+M=total) Tara has a score of 10 on the Glasgow Coma Scale. Another scale for assessing coma is the 8 level Rancho Scale. The Rancho Los Amigos Scale is most helpful in assessing the patient in the first weeks or months following an injury, because it does not require cooperation from the patient. These Rancho Levels are based on observations of the patient's response to external stimuli. They provide a descriptive guideline of the various stages a brain injury patient will experience as he/she progresses through recovery. Tara is on level 3 of the 8 levels. A very good website is www.waiting.com that provides a lot of information about coma and brain injuries. 7:15pm GOOD NEWS!!!. GOOD NEWS!!!. GOOD NEWS!!!. GOOD NEWS!!!. GOOD NEWS!!!. Tara has been moved from the Neuro Critical Care unit to the Neuro Stable Care unit. Tara is still in a coma, but she is no longer considered to be in a life critical condition. The hospital staff has given Tara the VIP room in the because they feel that she deserves it. This room is more like a nice hotel room than a hospital room. Tara also needed a private room because she is still on a ventilator to assist her breathing. The staff suspects that the lining of Tara's lungs may have been overheated by the fire, and so they are keeping her on the ventilator to help keep her lungs moisturized. How does one describe the feelings when one's child is sleeping in the valley of the shadow of death? Tara is still asleep tonight, but the staff here at the University of Utah Hospital has lifted her out of that valley. Tara's mother arrived from California today and was relieved that Tara's status has changed for the better. Your reporter, might even be able to sleep the night through tonight. Josh and the two families send a thank you to everyone that has been praying and sending Tara your support. 8:15am Tara had a quiet night. Rocky was her nurse and says that she is doing well. This morning Ann is her nurse and says that Tara has made very good progress this past week. Tara is quiet this morning and not showing any signs of activity Tara's mother is driving in from California and should arrive by mid-afternoon. More later! Tara is in critical condition at the University of Utah Hospital. 5:30pm No major news to report this evening. Tara had a quiet day. Yesterday she was very active, moving her arms, looking about, etc. Today she was much quieter. The nurses say this is normal As the body and mind try to repair themselves, it often happens in spurts. So patients will be active one day and still the next. So, we need to have patience with our patient. More tomorrow! 5:10pm Tara is improving. She is spending more time in a seemingly "awake" state in that her eyes are open. She sometime tracks with her eyes, in that if you move your hand in front of her face her eyes will follow. The nurses have the television on and her eyes often go to the movement there. Tara is moving her arms more. Today, two physical therapists came and sat her up on the side of the bed. They had to support her the whole time. We could tell by Tara's reactions that it was difficult for her to be in that position. Tara is also yawning a lot. BIG yawns. The hospital staff is discussing perhaps moving her from the Critical Neuro Unit to the Stable Neuro Unit. Good news! . Special Commentary: Just for the record, your friendly reporter has not seen Tara for a week and today he was very encouraged when he saw her. She is still very impaired, and most of her movements are involuntary, but there has been very good progress in the past week. This will be a long process, but every little step at this point is encouraging. The nurses and very pleased with her progress. Josh suggested to the nurses that they have baseball on the TV all day, and eventually Tara will get up to turn it off. Tara's Dad is signing songs to her that he sang when she was a baby - "You Are My Sunshine", "My Little Girl", "Jesus Loves Me, This I Know", and of course her old time favorite, "The Cannibal King with the Big Nose Ring". He figures that Tara will just start singing along one of these days when she decides that she has rested enough. One gets the impression that Tara is in there, struggling to get out, but stymied by the injuries that she has sustained. 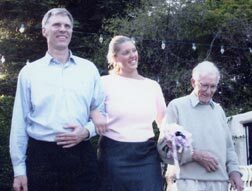 8:30pm Reporter Grant Shellen of the Los Gatos Weekly Times (Tara's hometown newspaper) did a lengthy article on Tara. Here is a link to the June 16th NEWS ARTICLE. Tara had a quiet day. Since Tara has been stable for the past few days, the hospital staff is talking about possibly moving Tara from the Neuro Critical Care unit to the burn unit where they can better address the burns on her face, or perhaps back to the Surgical ICU where they can address Tara's internal injuries. More on that later. Your friendly reporter apologizes for not having an update earlier today, but he has been burning the candle at both ends and will be returning to Salt Lake City tomorrow. 6:30pm No major news to report this evening. Tara had a quiet day. Josh was with her most of the day. This story was featured in the Salt Lake Deseret News today in a story written by Laura Hancock. Click to read the NEWS FEATURE. 10:30am Tara is stable today. No major news to report this morning. 6:00pm Tara remains in a coma, however, the doctors found her stable enough to change her Endo-Tracheal (ET) tube to a more permanent tracheotomy. This will allow them to better manage her respiratory status. They also placed a more permanent feeding tube directly to her stomach. This means that Tara no longer has any tubes in her nose or mouth. Tara remains neurologically unchanged. 9:00am A nurse from the burn unit came last night to check on the progress of Tara's face. The burns are healing, but it is too early to know the extent of any permanent scarring. Tara had a quiet night. The nurses will be working with her again today and trying to stimulate her. Josh spends much of his time at Tara's bedside. 5:45pm Tara is still responding to some stimulus. She moved her toes today. These are all good signs that she is slowly coming out of the coma. The nurses work with her and she responds to input sometimes and not others. 8:00am The results of the MRI (magnetic resonance imaging) were discussed. The MRI shows that Tara has some brain shearing. 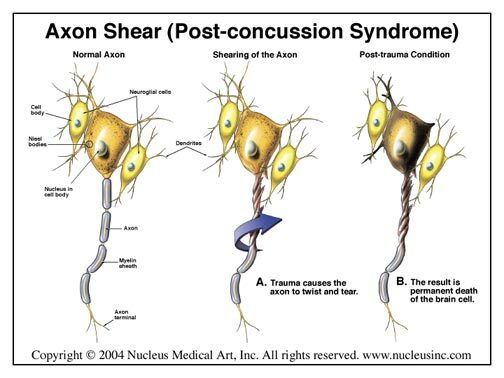 Brain shear injuries involves damage to individual nerve cells (neurons) and loss of connections among neurons which can lead to a breakdown of overall communication among neurons in the brain. There is no way of telling the exact extent of the damage or how it may affect Tara. This process is basically a waiting game. Waiting for Tara to wake from her coma. A very good website is www.waiting.com that provides a lot of information about coma and brain injuries. Tara may have to go through over a year or two of rehabilitation. 8:30pm Tara had another good day. (We define a good day as the fact that the ones who love her were not besides themselves with worry that we were going to lose her. In reality we do not know if Tara has any cognition of her day.) She has been off of all sedatives for over a day. The nurses have been playing the radio for her - Cooking shows. They lightly say that when she comes out of the coma, whenever, she will be a better cook. Today, when her shoulder was pinched, Tara moved her hand to her shoulder. Her nurse tonight, Rocky, says that she is improving on the Glasgow Coma Scale. Rocky also says that Tara's surface wounds are healing. The burns on her face are going through the normal course of healing. Tara still has some internal injuries like the tear in her diaphragm that will need to be surgically repaired once she is out of critical care. 12:30pm Tara is stable today. Showing some small responses to stimulus. 10:30pm GOOD News! Tara is responding to some stimulus. When her shoulder is pinched she is showing some responses. She is opening and closing her eyes occasionally. She is not looking around, but this is still very encouraging news. Rocky, who is caring for her tonight says that these little steps are good at this time, but we still have a long way to go. Sorry for no afternoon update. Tara's brother graduated High School tonight and your status reporter was busy being proud of his son. 8:30am Tara had a good night. Her condition is unchanged. She is now off of sedation. Her ICPs are remaining within a good range. The staff hopes to take her for an MRI (magnetic resonance imaging) scan this afternoon. 8:15am Tara had a very good night. More later today. Read yesterday's update. 5:30pm Tara had a good day. The staff did some range of motion exercises and everything looked good. Tara's ICPs did rise during the tests, but that is to be expected. The staff took Tara off of several of the medications that they have used to keep Tara sedated to keep the ICPs under control. Josh says that Tara is looking really good today, and he wants to thank everyone for their continued prayers and support..
11:30pm Tara's nurse, Ann, says that Tara is doing quite well tonight. Her ICP levels are in the teens which is excellent. Another nurse, Shontel, who took care of Tara last week agrees that Tara is looking much better and that her vital signs look good. When a light is shined in Tara's eyes, her pupils react as they should. Both nurses told Tara's mom and dad to go home for her brother's high school graduation because it will be a few more days before the NCC staff tries to wake Tara. Tara is receiving excellent care. On a scale of 1 to 10 this hospital is a 20. 5:30 pm Yesterday was a bit of a roller-coaster ride emotionally for those of us here. Tara's ICP (IntraCranial Pressure) levels went up and down. Her new care-givers had to adjust the balance of her medications many times trying to find the right mixture. Today, Tara's vital signs are very good. They did another CAT scan and everything looks good. The initial spots of trauma seem to be taking their usual course and look to be on the mend. We are encouraged, because her ICP readings have been in the low 20's and teens for most of the day. Yesterday, Josh had his hand put into a special splint to help heal the fracture in his index finger that was the result of having to punch his way through the windshield to escape the car..
Dale Gustafson, the pastor from Calvary Church in Los Gatos that married Tara and Josh, visited today and was a wonderful help to Josh and both families. Today, John and Sharon (Tara's aunt) visited the Utah Highway Patrol office and obtained the official investigation report. The State Trooper who was in charge of the investigation drove them to the accident scene. Tara was moved Monday evening from the Surgical ICU to the Neuro Critical Care (NCC) unit of the hospital. This is a good move since the primary concern at this time is the injury to her head. The nurses and doctors in this unit specialize in TBI (Traumatic Brain Injury). Traumatic Brain Injury results from rapid acceleration and deceleration of the brain, including shearing (tearing) of nerve fibers, contusion (bruising) of the brain tissue against the skull, brain stem injuries, and edema (swelling). From Tara's CAT scan, we know that she has some swelling and some very small bruises, we do not at this time know if there was any shearing. Josh has a broken clavicle (collar bone) which is mending. He has an appointment today with an orthopedist to examine the fractured bones in his hand that he hurt when he had to punch his way through the windshield to escape the car. 9am: Tara's ICP moved upward during the night, and she needed to be sedated again to bring it back down. She had another CAT scan yesterday and the physicians say that nothing much has changed over the last few days, which is a GOOD sign. It means that there is no new internal bleeding in her head. They are unsure at this time why the ICP continues to stay high when she is not sedated. We are telling them that it is because Tara is such a strong willed young woman and that she wants to wake up. Tara had a good night. She had some movements of her head and eyelids, but did not regain consciousness. This is a time of balancing. She must be sedated to keep her ICP low and within range. When the sedation is removed and she starts to experience stimuli, then the ICP rises and she needs to be sedated again. The goal is to have her off of sedation with a low ICP so that the staff can try to bring her conscious without having her ICP level spike. It is a real balancing act. The good news today is that the neurosurgeons rubbed hard on her chest and Tara showed some agitation that she did not like what was happening. They also tried to open her eyelids and Tara showed that she did not like that. This could be completely involuntary action on her part, but the fact that there was a reaction is a good sign. Tara had a good night, although at one point her ICP became slightly elevated which caused some concern. However, it came back down to stabilize within an acceptable range. The staff are hoping that once the ICP stays within this range for a long enough time that they will be able to try to bring Tara to consciousness, however, they have no idea how long that will take. Tara suffered a head injury during the accident on June 1st, and is still unconscious. There are two types of injuries to the brain. The initial injury is the result of the accident. The second type of injury is caused by pressure build-up inside the cranium because the brain swells when it is injured, just as an ankle will or any other part of the body. When the brain swells, there is not place for it to expand because it is encased by the skull. It is crucial to keep the ICP (IntraCranial Pressure) from getting to high. Tara's ICP was high after the accident, but is now stabilizing in an acceptable range. The staff in the Surgical Intensive Care Unit of UUH have done an excellent job of monitoring Tara. Tara has burns on her face from the fire during the accident. They are mostly 2nd degree burns with some possible 3rd degree. Fortunately, UUH has an excellent burn team. We will know in a few weeks the extent of the damage to the skin on Tara's face. Tara has a tear in her diaphragm, a lacerated spleen, and a blood clot in her left kidney, all of which may require surgery. She has a fractured ankle. Tara also has many cuts and abrasions on her body, especially on her left side, and she has deep cuts on both of her knees. Tara is very fortunate to have been brought to the University of Utah Hospital. The care she has been given here is excellent and the staff are wonderful. Please remember Tara and Josh in your prayers and thoughts. This status page will be updated as often as possible.